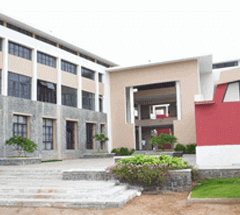 SR Engineering College (SREC) established in the year 2002 is sponsored by Sri Rajeshwara Educational Society which has four decades of rich experience in the field of Education. It is located on Warangal-Karimnagar highway at about 15 KM away from Warangal City. SR Group runs 3 Engineering Colleges, and scores of Junior Colleges and Schools spreading over Telangana and Andhra Pradesh. The institute is an Autonomous Institution accredited by NAAC with ‘A’ Grade and its programmes are accredited by National Board of Accreditation (NBA). The institute is affiliated to Jawaharlal Nehru Technological University, Hyderabad (JNTUH). It is running 5 undergraduate (B.Tech) and 5 postgraduate (M.Tech) engineering programs besides, Master of Business Administration (MBA) and MBA (Integrated). The staff and the students take on new and interesting activities to acquire ability to think uniquely and independently. Our faculty, from across India and abroad, are considered to be the best in their fields. Prominent personalities from the industry take sessions with the students on a regular basis to acquaint them with contemporary best practices existing in the industry. It adopts innovative approaches for continuous improvement by strategic planning, benchmarking and performance monitoring. The policy is to establish a system of quality assurance of its graduates by continuously assessing and upgrading teaching and learning practices. The central library and digital library provide the necessary resources and e-learning services. SREC has taken up a very ambitious program of restructuring curriculum and adding state of the art technology enabled infrastructure to meet the international ABET guidelines of accreditation and thereby produce globally employable graduates with adequately equipped entrepreneurial skills. Our innovative curriculum equips students to interact and work with a heterogeneous team, which is the requirement of a real world environment. Based on the current industry demand, courses are offered as professional electives. Through active industry cooperation, SREC has established centers like CISCO Networking Academy, Microsoft Innovation Centre, IBM Centre of Excellence and NEN Centre for Entrepreneurship Development for nurturing specific skill sets for employability. To shape and transform the graduates to meet challenging and complex engineering tasks globally, the college has built and fostered relationship with reputed universities like Saint Louis University and Purdue University. To align with ABET system of outcome based curriculum, many reforms have been implemented in the course structure with due stress on basic sciences and humanities, interdisciplinary and core engineering including projects and seminars. SREC provides an environment conducive for research where faculty and students continuously update their knowledge. Several research projects are in progress which are funded by DST, AICTE and UGC. A Women Technology Park, the first of its kind in the Telangana State has been sanctioned by DST. The Centre for Student Services and Placements (CSSP) has been consistently improving its placement record with the students placed in various reputed organizations. The industry-institute interactions have been instrumental in getting MNCs to the institute and conducting campus recruitment drives. Our Career Guidance Cell provides career counselling and plays a pivotal role in building the career of aspiring engineers. Network with industry and institutes of repute through academic partnership for expanding avenues for internships and research. Courses Offered : IIT Coaching for both 1st and 2nd year students, long term IIT Coaching.